Air conditioners basically work like a fridge does but backwards. In the same way that fridges and freezers use heat transfer coils, piped refrigerant and a compressor, air conditioners take heat from inside and transfer it to the outside, and use a fan to ensure that adequate air (therefore heat transfer) is pushed through the cooling fins. The purchase prices of Air-conditioning units are now more affordable to the general public. Prices vary depending on the size of the room, the heat load, number of people using the space etc. This is why we offer a free, no obligation site visit to evaluate the space and provide you with our recommendation of your needs. How much cooling/heating do I need? Air conditioners come in many different sizes, whether they are wall mounted air conditioners, ducted or ceiling suspended air conditioners. These units should be sized to cool the area of your home you’re trying to cool with the most efficiency. So how do you do that? Well, by measuring the area of the area to be cooled, you’ll have a pretty good idea what size air conditioner is for you. Cooling capacity for a room is defined as the heat load in a room that have to be removed in order to achieve a certain room temperature and humidity. The typical design is set to 24°C temperature and 55% Relative Humidity. Study shows that this combination of temperature and RH is the most favourable for the human body. The unit used to measure heat load is BTU/hr. 1 BTU/hr is the heat energy needed to increase 1 pound of water by 1°F. When choosing an air conditioner, usually a 1 HP (horse power) equipment is able to remove 9,000 BTU/hr of heat. With better technology, some machines are able to remove 10,000 BTU/hr of heat with the same capacity. The higher the listed BTU/hr, the greater the cooling capacity. How do work out what size air conditioner I need? Step 1: Find the volume of your room in cubic feet. This is done by measuring the length, width and height of the room in feet and multiply all the three dimensions together. Volume = Width X Length X Height (Feet). Step 2: Multiply this volume by 6. C1 = Volume X 6. Step 3: Estimate the number of people (N) that will usually occupy this room. Each person produces about 500 BTU/hr of heat for normal office-related activity. Multiply this two figures together. C2 = N x 500 BTU/hr. Step 4: Add C1 and C2 together and you will get a very simplified cooling capacity needed for the room. Estimated Cooling Capacity needed = C1 + C2 (BTU/hr). Heating and Air Conditioning equipment should be serviced at least once a year. The best scenario is to have the heating system checked in the Autumn and the air conditioning checked in the Spring. To arrange your annual service call us today on 02072814542. Do you provide site free surveys? What is the best air conditioning unit? Thee best air conditioning system will provide optimal comfort cooling anywhere while saving you money on your electric bill. There are many different makes of A/C units and not all brands and makes are built the same. However the number one factor to consider before picking a brand is the installation as the air conditioner is only as good as its installation. The installation determines how well the unit will operate and how long it will last. Our promise to you is every installation will receive professional engineers taking their time in offering you the best installation possible. You can call us at 02072814542! Systems are offered complete with a 12 months parts and labour warranty which can be increased by a further two to four years dependent on the supplier provided your unit is regularly serviced by a qualified technician. You are expected to have a new car serviced in line with the manufacturer’s mileage intervals to validate the warranty. In the event you exceed this interval and did not for example have the oil changed within the engine which consequently blows up, the manufacturer or dealer will not be liable to pay for the replacement. In this case you would be expected to pay for the engine replacement. In the event the engine was replenished in line with the service intervals, the dealer would replace the engine and claim for the costs back from the manufacturer. This works much the same for an air conditioning installer. Maintenance costs are available at what is really very little cost. Please contact the office in the event you require a quotation. Yes. We can service and repair all systems whether they have been installed by regardless of who they have been installed by. How long does an installation take to complete and install? An installation depending upon its complexity and spend level can be phased from a single day to many months. The timescale will be indicated once a budgetary cost has been provided and the quotation is made firm. Yes! Systems heat and cool if required from the same piece of kit. To give you an idea , heat pump systems can be offered for only a few percent more when compared to cooling systems and in some cases for the same cost. 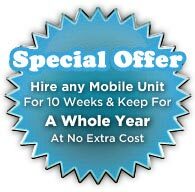 If you are extending, why not allow us to quote for heating and cooling and save money by eliminating the need to upgrade boilers and add radiators.